Last week on November 24 Emmerson Mnangagwa was in Murombedzi — former president Robert Mugabe’s village backyard in Mashonaland West — to commemorate his chequered one year in office following his controversial installation as president on November 24, 2017 after the army unconstitutionally ousted Mugabe. The Murombedzi commemoration, also attended by (Retired) General Constantino Chiwenga, who led the November 2017 military coup, was understandably disguised as Mnangagwa’s “thank you rally” for his disputed election on July 30, 2018, which has left him paralysed by a crisis of legitimacy. This is because the military coup, which just about everyone now says was unconstitutional, has become a dirty word among a growing number of Zimbabweans whose livelihoods have been dramatically eroded over the last 12 months, and are worse off today than they were before the coup as a crippling economic meltdown becomes the order of the day. It is, thus, no wonder that loud official silence over the momentous events of November 2017 characterises the disposition of Zanu PF, the army and government towards the first anniversary of the military coup. Mnangagwa’s initial buzzwords that were used as the currency of the coup — such as “the new dispensation”, “Zimbabwe is open for business” and “the voice of the people is the voice of God” — have fallen into disuse due to their irrelevance. Even the so-called Second Republic, much touted during and immediately after the poisonous 2018 election campaign, is fizzling away as most Zimbabweans take it to mean that Mnangagwa is just a second-hand officeholder in the same troubled republic that Mugabe served as its first-hand. When the currently indisposed foreign minister, General Sibusiso Moyo, announced the coup on television in the wee hours of November 15, 2017 as a “military intervention targeting criminals around President Mugabe”, he memorably declared that the political situation in the country had “moved to another level”. The “new level” was ostensibly from Mugabe’s “ruinous rule” to a “new and prosperous dispensation” led by Mnangagwa and underwritten by the military. But 12 months later, the consensus in and outside Zimbabwe is that the situation in the country has, at best, remained stuck at the level it was before the November 2017 coup; and that, at worst, it has rapidly sunk back to the 2008 level of a post-election legitimacy crisis underpinned by a collapsing economy with social and financial ruin on the horizon. The writing is on the wall that the “transition from the old order to a new dispensation”, which Mnangagwa promised at his hyped inauguration on November 24, 2017, was stillborn. The new and harsh reality is Finance minister Mthuli Ncube’s oxymoronic promise of “austerity for posterity” in an economy that is deep in the doldrums. What has happened and why? A cursory review of public discourse in Zimbabwe will readily show that the questions of the “what” and “why” of politics in the country are hardly, if ever, asked, let alone answered. This is because they invariably require the identification of “who” has done “what”, “how”, “where” and “when”. That identification requires truth-telling which always attracts ghastly consequences on the truth-teller. It is against this backdrop that the challenge for the media and academia in Zimbabwe, and indeed for ordinary Zimbabweans, is that they are not able to freely and meaningfully discuss and debate things to tell the truth about things that have been done or are being done by the country’s leadership. A major reason why the claim of a new dispensation after the military coup has proven to be false is that the non-discussabiity of things that have happened, or are happening, has remained to be the scourge of politics in Zimbabwe since 1980. Nothing has changed. In her critically acclaimed treatise, the Human Condition, Hannah Arendt decries as a “failure of speech” where human beings find themselves unable to discuss, or to reflect on, things that are nevertheless done in their society. Such a condition is totalitarian because “speech” is a sine qua non of human existence. It is in this connection that freedom of expression is both a natural and constitutional right, because speech is an innate human quality that gives rise to an inalienable right. The populist historian, Yuval Harari, catalogues in his book — Sapiens — how “speech” has superbly distinguished human beings from other species by enabling them to cooperate flexibly in large numbers to accomplish complex tasks to benefit humanity. The essence of human freedom is thus the discussion of human action, namely, truth-telling. A society that does not discuss what is happening or has happened within its borders is uncivilised, undemocratic, primitive and doomed. Yet this is where Zimbabwe finds itself, one year after the military coup that Zimbabweans from across the political divide at home and in the Diaspora celebrated in their numbers as a “liberation moment” on November 18, 2017. There are four defining features of the last 12 months in the post-coup era, which have gone undiscussed. These include the erosion of people’s livelihoods; the breakdown and selective application of the rule of law enabled by the judiciary; policy paralysis in government occasioned by tribalisation; and the lack of confidence in Mnangagwa dramatised by the fact that he won only in 129, while his Zanu PF won in 145 constituencies (unlike Nelson Chamisa who won in 81 where his party won 63 constituencies); coupled with the fact that he was rejected by half of the voters in all the three conflicting and disputed results declared by the Zimbabwe Electoral Commission (Zec). Since the coup, Mnangagwa has projected himself through slogans like “Zimbabwe is open for business”; a mystical scarf whose all-weather use, everywhere and every time, has set tongues wagging with suggestions that he is using it for juju purposes; and personalised leadership models around the styles of Rwanda’s Paul Kagame, China’s Deng Xiaoping and Britain’s Margaret Thatcher that have no connection with Mnangagwa’s everyday reality. Before the coup, the army generals who had settled on Mnangagwa as the face of their putsch, peddled propaganda that he was the most suitable successor to Mugabe supposedly because he was like China’s “Deng” and that, in any event, Zimbabwe needed a Deng to lead a revolutionary transition from Mugabe to a new dispensation. In this “Deng” fantasy, the generals saw the Zimbabwe Defence Forces (ZDF) playing in Zimbabwe, through Zanu PF, the role that People’s Liberation Army (PLA) plays in the Communist Party and in China. But the Deng proposition fell away after Mnangagwa’s November 24, 2017 inauguration, when the Misheck Sibanda-led Office of the President and Cabinet (OPC) took charge of branding its new boss away from the army, in a vain hope to cure the coup. To give Mnangagwa African roots, and hopefully exonerate the Chinese from complicity in the coup, OPC branded Mnangagwa as a “Kagame”. Under OPC auspices, the chief executive of the Rwanda Development Board, Clare Akamanzi, who is a governance expert, came to Zimbabwe in April 2018 to address Cabinet ministers, Zanu PF politburo members, senior government officials and even private sector “juntarites”. Mnangagwa played along by declaring that he was “charmed by the efficient governance system in Rwanda”. The Kagame tag sought by OPC collapsed after the July 30 general election, before it produced a Kagame-like vision for Mnangagwa. The appointment of Mthuli Ncube as Finance minister in September opened a door for Petina Gappah, who operates from the indisposed General Moyo’s office, to astonishingly claim Margaret Thatcher as Mnangagwa’s new leadership model. The presumption is that Ncube’s “austerity for posterity” slogan might win favours in Britain’s conservative party because an “austerity” orientation resonates with Thatcher’s policies. But the prospect of the “austerity for posterity” slogan to make Mnangagwa a Thatcherite is between slim and none. First, Zanu PF bigwigs — like Obert Mpofu and Patrick Chinamasa — who were dropped from Cabinet, despite having been the party’s leading coup lights, don’t want to hear much about “austerity for posterity” from Ncube, whom they say is adopting and announcing policies without consulting them when the Zanu PF new mantra is that the party is supreme to the government. Mnangagwa himself, whose ghost writers want to turn him into a Thatcherite, has publicly said the new post-coup position is that the party runs the government through its full-time secretaries whose terms and conditions of service are at par with, if not better than, Cabinet perks. And so Mnangagwa is a Thatcherite only in the pages of the Financial Times through articles written for him by ghost writers who know between little and nothing about Zanu PF’s machinations. In the end, the last 12 months have seen a Mnangagwa whose jittery handlers have alternately sought to present as a Deng, a Kagame and a Thatcher with the result that he has not risen to be any of these in any way. This accounts for much of Mnangagwa’s leadership failure. One cannot aspire for what they never become and hope to be a successful leader. In the middle of these failed attempts to mould him as a Deng, a Kagame and a Thatcher, Mnangagwa has quietly emerged over the last 12 months as his own kind of leader: a clansman or a tribesman only at ease with his homeboys. This is conspicuously clear through some key appointments that he has made across the board. A brief illustration will suffice. Sibanda is Mnangagwa’s cousin and from Midlands. The chairperson of the Civil Service Commission, Vincent Hungwe, is a clansman from Masvingo; as is the secretary to the Services Commission, Jonathan Wutawunashe. The principal director, who is his Personal Assistant, is William Gwatiringa, a clansman from Midlands; as is his principal director for State Residences (effectively the State House principal director), Coxwell Chigwana, who recently replaced another Midlander, Douglas Tapfuma, who is now principal director for Monitoring and Evaluation in the OPC. In the all too powerful President’s Department, the Central Intelligence Organisation (CIO), which works closely with the OPC, the Minister of State — Owen Mudha Ncube — is also from Midlands as is Isaac Moyo, the Department’s director-general. It should be said without prejudice to the incumbents in question that this brazen tribalisation, clanisation and regionalisation is unprecedented. OPC, the Civil Service Commission, the Services Commission, State House and the President’s Department are all headed by Mnangagwa’s clansmen or tribesmen from his home province or region. All this has happened in 12 short months since the November 2017 military coup. Is this what the coup was about? The Office of the President, State House and the President’s Department are everyone’s offices. 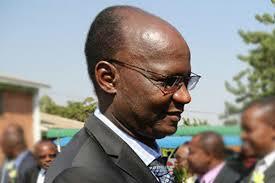 They are national offices for all Zimbabweans regardless of clan, tribe, province or region. What makes this bad situation worse is that, under the veil of fighting corruption for which he has rightly declared zero tolerance, Mnangagwa has set up an Anti-Corruption Prosecuting Unit in the OPC, which directly reports to him. The unit is handling the so-called high-profile cases, a euphemism for Mnangagwa’s real or perceived detractors or political opponents. It is common cause that there has been massive looting and corruption for personal gain under command agriculture, for example, running into billions of United States dollars. But there’s been no investigation or prosecution of any kind there because the programme was led by Mnangagwa himself. All hell would have broken loose had anyone else associated with the so-called G40 had led command agriculture. The same would have happened had the Ministry of Transport that oversees Zinara not been under Joram Gumbo, one of Mnangagwa’s trusted clansman and tribesman. Since its formation, serious questions have been raised about the constitutionality of the Anti-Corruption Prosecuting Unit in Mnangagwa’s office, given the clear provisions of the new Constitution adopted in 2013, which assign the prosecution power to the National Prosecuting Authority (NPA) in terms of s258 of the constitution. The NPA is required under the constitution to be independent and not to be subject to the direction or control of anyone. Unlike the terms and conditions of services and allowances of the NPA that are set under an Act of Parliament, those of the Unit’s officers are set by the OPC run by Mnangagwa’s homeboys. How can the officers be independent and not be subject to the direction of the president or the OPC who are the paymasters? There’s one other aspect about the Unit, which is particularly insidious. It’s officers are Thabani Mpofu, Brian Vito, Tapiwa Godzi, Mike Chakandida, Zivanai Macharaga and Vernanda Munyoro. Thabani Mpofu, the unit’s head, is Mnangagwa’s clansman from Mberengwa and the others are from Midlands or Masvingo. How can this inspire national confidence or promote the interests of justice and the rule of law to give prospective investors, let alone accused persons, a reasonable degree of comfort that the country respects the rule of law as a constitutional democracy? Why is this being tolerated and why is there no public discussion — truth-telling — on this outrageous tribal opprobrium in the OPC? One does not need to be a lawyer to realise that Mnangagwa is in gross violation of the equality and non-discrimination clause in s56(1) of the constitution. He is also in wilful breach of s97(1) of the constitution. The violations are unprecedented, as is the silence from or acquiescence by the bench and the bar. In the circumstances, it is no wonder that the civil service has over the last 12 months become a homeboy turf for two provinces, to the detriment of national capacity and service delivery, while the cabinet has become a chamber of frightened and paralysed men and women who can’t make decisions or contribute robustly, as they are afraid of being accused of abuse of office by the President’s prosecutorial clansmen and tribesmen who have become a law unto themselves with impunity. It’s clear that the new Constitution is the enemy of the new dispensation. Not only was the November 2017 coup itself unconstitutional, but first Judge President George Chiweshe and later Chief Justice Malaba sanitised the coup when the new Constitution is clear that former president Mugabe did not deploy the army on November 15, 2017 and that the army cannot under any circumstance deploy itself. A story yet to be told is the personal and political association between Mnangagwa and Chief Justice Malaba dating back to their Kwekwe days when Mnangagwa was the town’s strongman and Malaba its magistrate. Before Malaba was appointed Chief Justice, there was widespread but false media speculation that Mnangagwa favoured Justice Chiweshe against Justice Rita Makarau when in fact Mnangagwa’s choice was Malaba against Chiweshe who was Chiwenga’s choice. The rest is history. What emerges from the foregoing is that while there was a documented coup strategy, called “Blue Ocean” to grab power, there was no post-coup vision upon which to run the country after the coup for the country to benefit the people. Over the last 12 months, Mnangagwa has not had one big idea for the country. Not one. Yes, there have been slogans about “the voice of the people is the voice of God”; or “Zimbabwe is open for Zimbabwe” and now “austerity for posterity” but these slogans are not visionary nor big ideas for the people. Empirically, the people’s consensus is that they are worse off today than they were 12 months ago when the US$/RTGS exchange rate was 1:1.8 or 80%; when the price of bread was $0,90 a loaf; when there was no punitive 2% transactional tax; when ordinary people who earn $300 or less a month did not fear a traffic fine of $700, or fear that the government would reject its own bond note or RTGS currency, which Mnangagwa says is 1:1 to the US$; nor did ordinary people imagine that they would be required to pay duty in United States for items sent to them by relatives in the Diaspora or risk being jailed for 10 years for buying the forex for duty in the parallel market. The bottom line is that 12 months after the coup, people’s confidence in Mnangagwa has dramatically fallen, hopes have been shattered and livelihoods have been eroded back to 2008 levels or altogether destroyed.